SPAJU is a hotel. 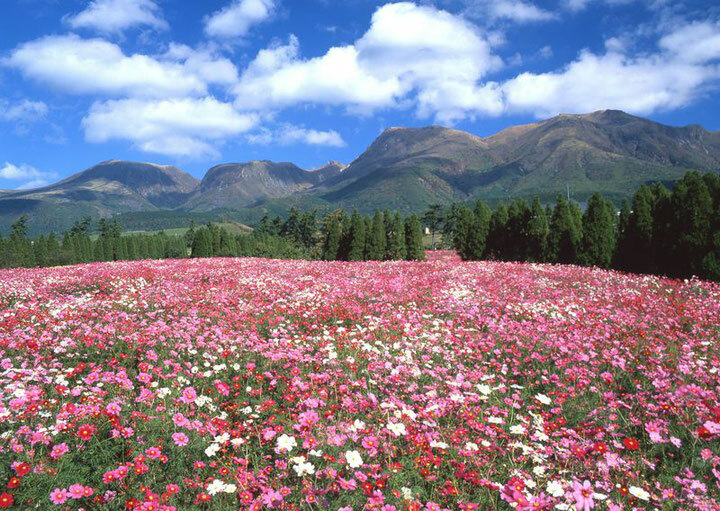 You can enjoy a Natural Hot Springs Enjoy driving beautiful tableland of Kyushu. As you drive, you surprised Japanese have! Aso 80min, Kurokawa spas 15min, betppu 70min, yuhuin 50min, Takachiho Gorge 90min, Kumamoto Castle 110min, Oita Main Street 70min, Fukuoka airport 130min. This area is very famous and beautiful for automobile drive course. 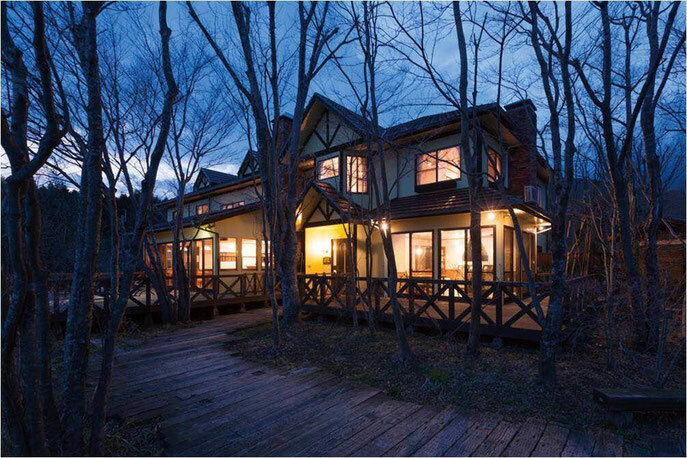 A cozy onsen (hot springs) hotel surrounded by grassy plains, Akagawa Onsen Spaju opened in May 2011. 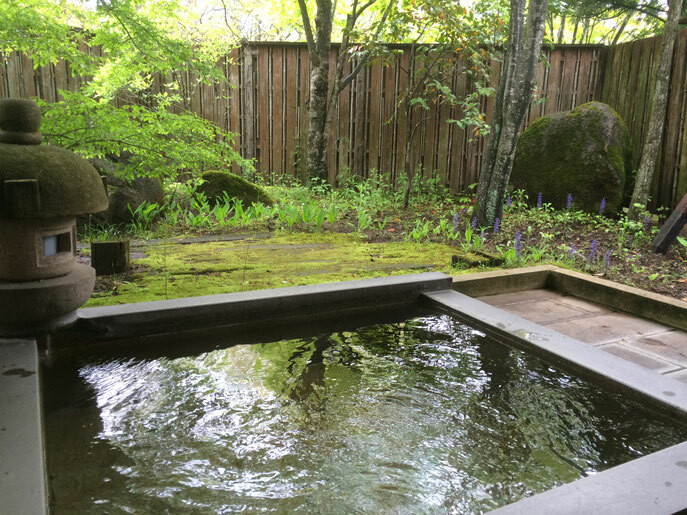 The cool weather, even in summer, makes Akagawa Onsen Spaju a comfortable retreat. 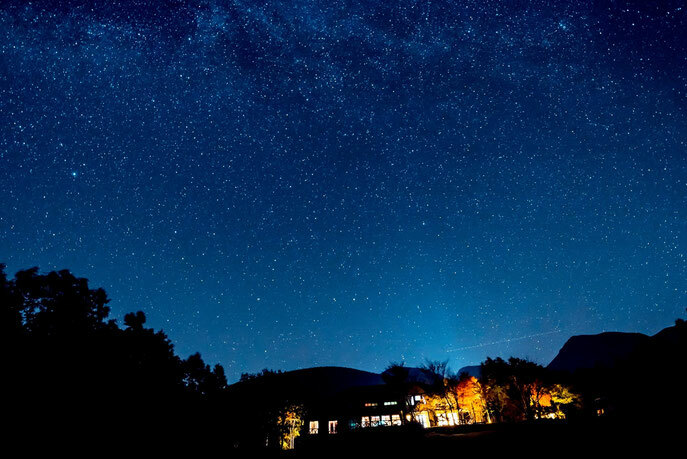 Spread before your eyes is the beautiful panoramic landscape of the Kuju Highlands; depending on the weather, you can see a sea of clouds in the early morning or enjoy clear views of the night sky filled with twinkling stars! The open-air bath can be booked for exclusive use anytime during the day, enabling you to relax at your leisure in private. Rich in metasilicic acid, Akagawa Onsen Spaju water is renowned for making the skin soft and smooth. Meals comprise home-style Korean cuisine prepared and served by a Japanese-Korean husband-and-wife team. 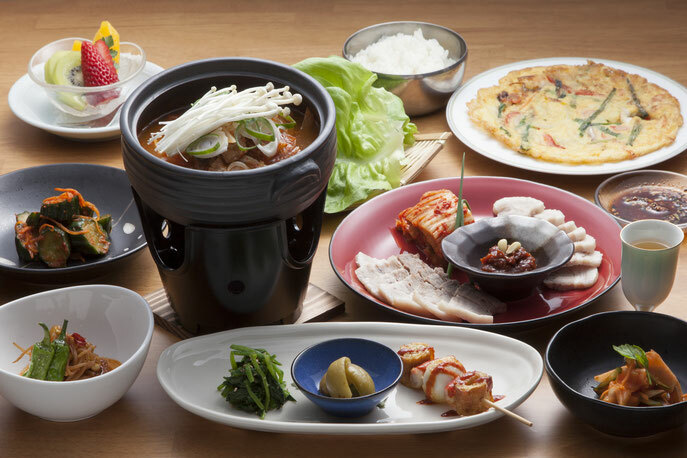 Enjoy authentic Korean home-style cooking while savoring the view of the Kuju Highlands.